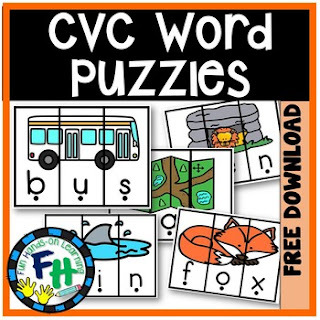 These word puzzles are perfect for early learners just starting to sound out words. Cut these puzzles on the lines. Put the pictures together and sound out each word. For even more fun, hide the puzzle pieces in a sensory bin or around the room. Find the pieces, place them together, segment & blend the words.